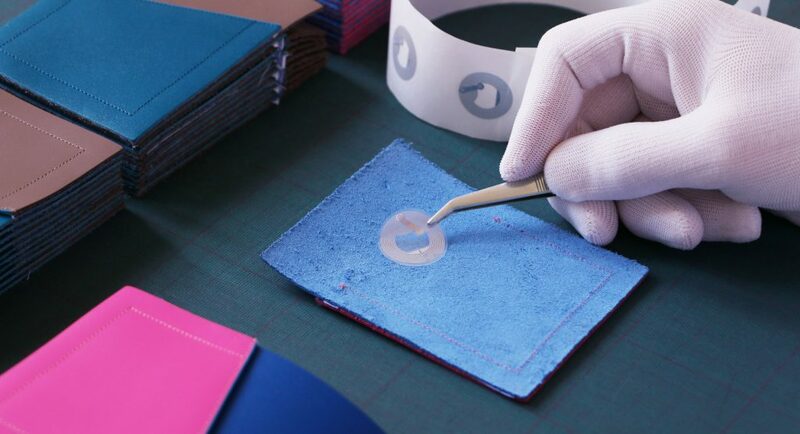 Hidden between two layers of leather, a high capacity ultra thin NFC chip is ready to be encoded for you. Use any NFC compatible device to read and write data. You can decide to encode the chip with your personal contact details. Never run out of business card anymore. 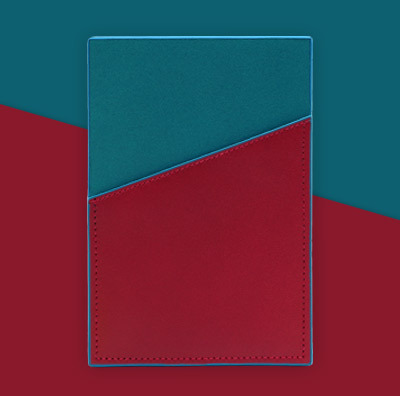 Place your friend’s phone on the cardholder, and the chip will automatically send your details onto his phone. Our custom-made hot stamps letters and numbers can be used to personalize your cardholder on the right bottom corner. Up to 4 letters – Silver color – Free of charge – Will be hot stamped on the right bottom corner. Customized products are not valid for return or exchange. 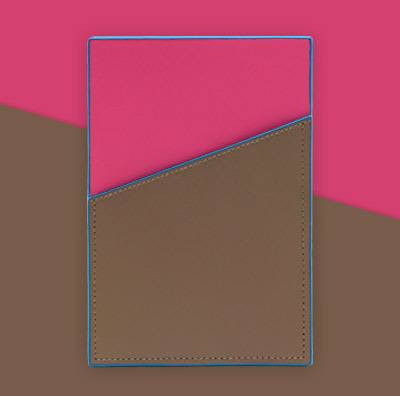 Hidden between two layers of leather, a high capacity ultra thin NFC chip is ready to be encoded for you. You can decide to encode the chip with your personal contact details. Never run out of business card anymore. 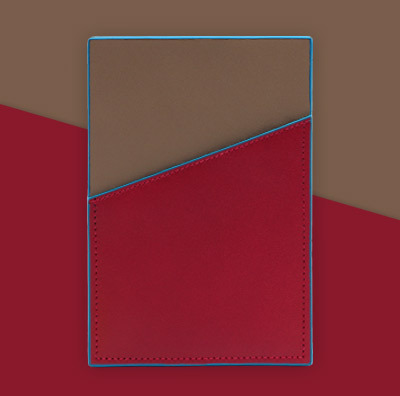 Place your friend’s phone on the cardholder, and the chip will automatically send your details onto his phone. Use any NFC compatible device to read and write data. Trigger is a powerful Android app allowing you to automate numerous tasks and scripts for your smartphone based on a variety of triggers. 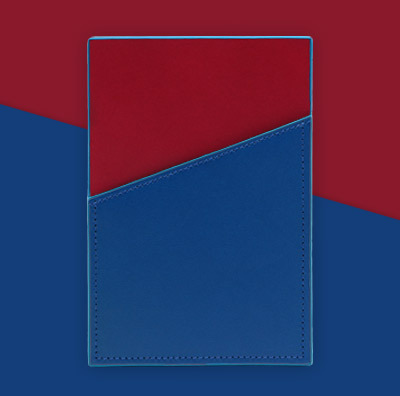 Personalize your NFC cardholder with your initials, free of charge. Will be hot stamped on the right bottom corner of the cardholder – Silver Color – Up to 4 letters. Usually takes up to 2 working days. Cette collection de porte-cartes NFC est notre première collection intégrant la technologie en son coeur. 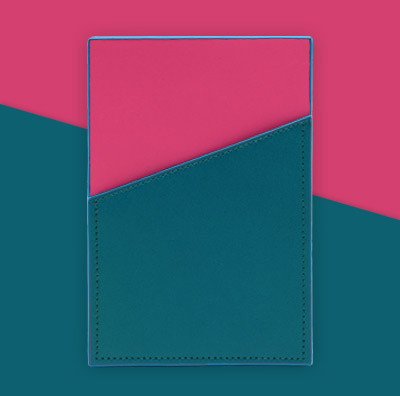 Une série de 10 porte-cartes en cuir, un mix de couleurs fortes et affirmées. La personnalisation de vos initiales sur le coin droit est offert avec chaque porte-cartes.